Many people pay a lot for dental insurance. Most policies are set up so that benefits expire at the end of the year. If you have dental insurance and are not using all of your benefits, you might as well be throwing your money away. Every policy is a little bit different, but dental coverage is generally divided into two categories. The first is general dental, which covers routine care, including cleanings, x-rays, fillings, and extractions. The second category covers more complicated treatments such as dentures, root canals and implants. Some plans may treat copays a little bit differently between the two categories. In order to maximise your dental benefits, it is important to understand what your benefits cover. The holidays have us all busy, and the last thing you want is to do is add another thing to your to-do list, but if you haven’t had a dental checkup in the past six months and have unused dental benefits, you should consider getting one before the end of the year. Getting your checkup now will not only ensure you use the benefits you’ve paid for, but will also help you prevent future problems. If you do have a problem, our dentist will find them and be able to fix them before they become more expensive and painful. If you have been putting off your routine dental care and have developed problems that will cost more than your plan covers in a year, you can schedule one appointment now to get started fixing them, and another after your plan year ends to finish up. Any way you look at it, taking time out of your busy schedule to see your dentist now will pay off. Your adult teeth started growing in at the age of about 5 or 6, with the last of them (except your wisdom teeth) coming in around age 12. If you bought a new car and drove it every day, year after year, without taking it in for oil changes and tune ups, you would eventually have some serious and very expensive problems with it. The difference between your car and your teeth is that you can buy a new car, your teeth are not replaceable. 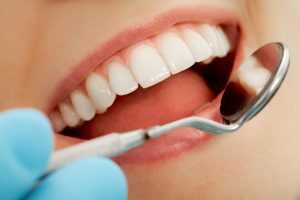 Dental insurance companies know that regular checkups and cleanings are a lot less expensive than the potential problems that can arise from not receiving regular dental care. If you’ve ever had a cavity, you know that fixing a problem is not just more expensive than preventing one, it can also be quite painful. Don’t neglect your dentures. They need a six monthly clean, just like natural teeth. Bring them in for a professional clean by our dental prosthetist, to ensure that you have a sparkling smile in time for Christmas! Use your dental benefits to your advantage before the end of the year! If you are enrolled in a family plan, now is a good time to get the kids in for a checkup and cleaning as well. It can be difficult to get an appointment once the holidays are in full swing, and a child with a toothache is sure to ruin any holiday plans. Consider making a day of it. Checkups and cleanings for the whole family, followed by a special holiday treat. If you’re due for a checkup, don’t put it off any longer, please call to arrange an appointment on 07 3278 0580 now.